(Newser) – The CDC says e-cigarettes may have long-term health effects and might even encourage users to pick up traditional cigarettes. The UK's Royal College of Physicians is singing a much different tune: It's urging smokers to give them a try. The lead author of a report released Thursday says e-cigs are "the first genuinely new way of helping people stop smoking that has come along in decades" and could help at least half of all regular smokers dump cigarettes, reports the New York Times. "That's a huge health benefit, bigger than just about any medical intervention," says the director of the UK Center for Tobacco and Alcohol Studies at the University of Nottingham. The report cites a British study that found e-cigarette use boosted a person's chance of quitting smoking by 50% more than with nicotine patches or no aid at all. What people don't seem to address is there are distinctly two different populations. One, like my wife and others, use a combination of patch and disposable E-cigs to quit. It's great for that. The other population use it as a new cool way to get their fix, just like Red Bull became the new cool way to get caffeine. You can often tell the two groups by the products they buy. The quitters generally want something that somewhat replicates tobacco smoke, whereas the trendy vapers love flavors like cherry banana. Unfortunately, the whole landscape is prone to broad generalizations about very heterogenous usage. These do-called "electronic" drug-delivery are already ILLEGAL, since they contain POISONOUS NICOTINE and many other deadly chemicals. Clearly, any group endorsing these killers is bought-off by the CRIMINALS who push the illegal devices, just as with the CRIMINAL TOBACCO PUSHERS. Years ago, even the AMA in the U.S. whored out for the tobacco pushers. ALL DENGEROUS DRUG-DELIVERY devices should be banned NOW and the pushers of those devices should be exterminated. 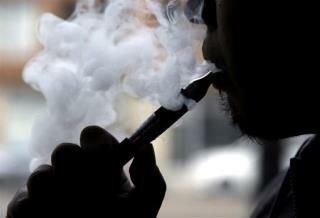 I know several people who have quit smoking by using an E cig.